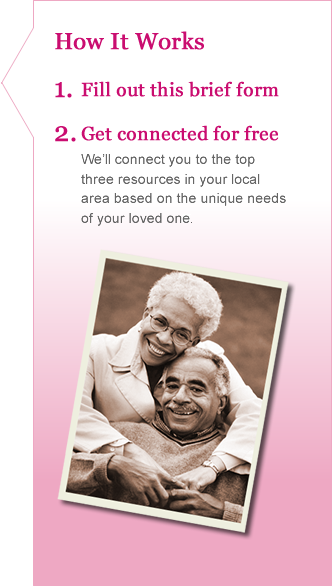 A free tool to find the best senior care options for your loved ones - brought to you by professionals with 15+ years of senior care experience. Type of Care - What are you most interested in? Monthly Budget - What can you spend on Services? Contact Information - What's the best way for us to get in touch with YOU?